By the time she completed elementary school, Jasmine Jones could pack clothing military style. 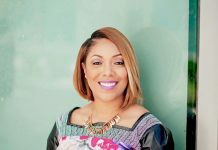 Her father, a career U.S. Navy man, provided the tutelage. Now, 10 years later, Jones is getting an assist from the U.S. Army. 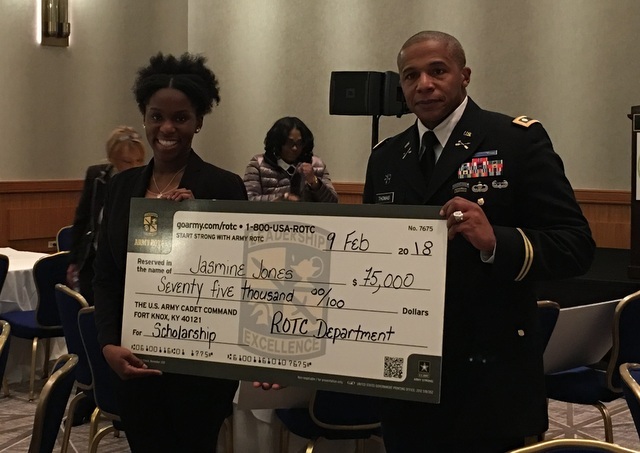 Jones, an ROTC member at Howard University, has been awarded a $75,000 scholarship from the Army to help support her financially at the school. Jones is a 20-year-old sophomore cadet majoring in finance with a minor in military science. The Howard University student, along with two other students from Washington, D.C.-area colleges, received over-sized, cardboard checks during a lively ceremony recently at the Marriott-Wardman Park Hotel. 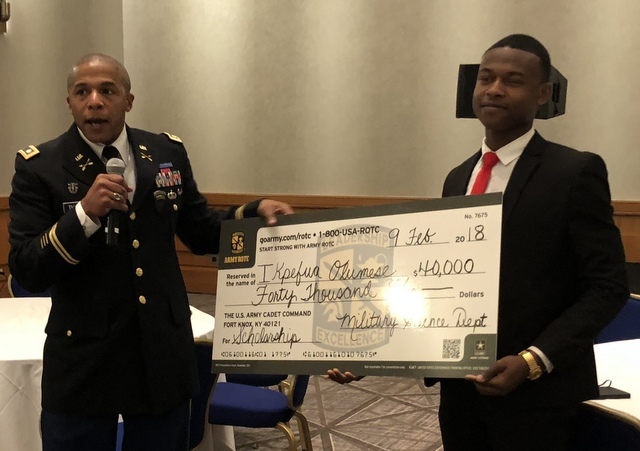 The event was part of the annual Black Engineer of the Year Awards STEM Global Competitiveness Conference, which partners with the U.S. Army in a massive effort to support young people in ROTC programs and further the national emphasis in the STEM educational genre. 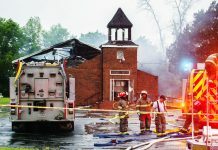 Jones said her father didn’t mandate she join the ROTC or the military; he merely offered the lay of the land in the world of the U.S. Armed Forces during Jones’ senior year in high school. “My father came to me and said this is what the Navy did for me; here are the benefits,” said Jones, who is from Wilmington, Del. Her goal after graduation is to be a financial officer in the military. Lt. Col. Joel Thomas’ goal is to spread the military message, especially to Black students, particularly those at HBCUs. Thomas, a military science professor at Bowie State University, presented the over-sized checks at the ceremony. Now, Thomas needs more prospects to disseminate more humongous cardboard checks. In fact, the lieutenant colonel said he has more scholarship money available than viable candidates. “Our community doesn’t think of the military as an option,” Lt. Col. Thomas explained. “It’s always been a struggle for us to recruit Black candidates for the officers’ corps – where you go into the ROTC in college and come out a second lieutenant,” Thomas told the AFRO. “You outrank 70 percent of the military from day 1. And you are managing people, resources and finances right out of college. But there are less and less people in the community who have experienced the benefits of serving in the military. 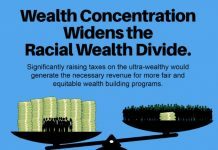 However, with the United States engaged in several wars in the Middle East and Africa, which may dissuade some prospects, and a robust national economy possibly luring away military candidates into the private sector, the situation essentially can become a numbers game. Still, the Army ROTC is one of the largest providers of scholarships in the United States. It grants $274 million in scholarship money to nearly 14,000 college students each year. Though the Army ROTC has existed for a century, misconceptions remain. And some of those misconceptions may hamper recruiting. One of the other students to receive a scholarship, Ikpefua Olumese, grew up in Prince George’s County, Maryland. The child of Nigerian immigrants, Olumese, a 20-year-old cadet and junior computer technology major, landed a $40,000 scholarship as a member of the ROTC program at Bowie State.